What is a bollard? A bollard is a short post designed to guide traffic and protect from vehicle intrusions. Bollards can be manufactured and installed to withstand significant vehicle impacts, but they can also be used as decorative or visual barriers. 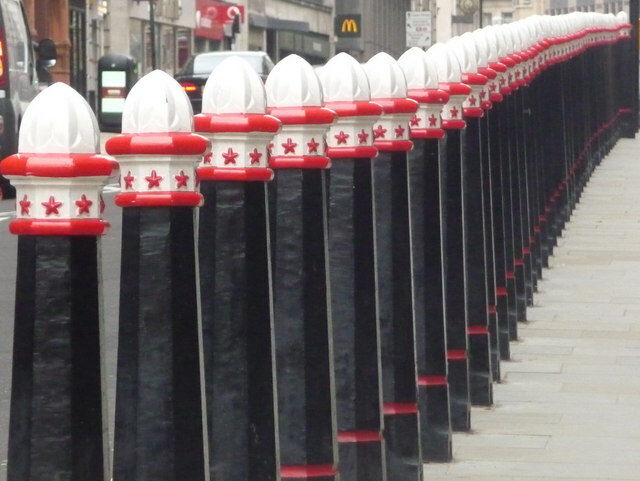 Many bollards contribute decorative elements to building and landscape designs. Through the ages, bollards have been used in many applications, including road or boundary markings, mooring posts and hitching ties. While most fastening applications have largely disappeared, bollards are still used to manage vehicle traffic and protect pedestrians, buildings and landscapes. Bollards create clear visual barriers for drivers, helping to direct traffic and prevent access to restricted and 'no-go' areas. When used properly, bollards regulate vehicle traffic. Bollards can be installed to withstand a range of traffic from trolleys, forklifts and pallets through to high-impact vehicle collisions. Steel pipe security bollards are made from structural grade steel and are designed to be embedded within and reinforced with concrete. Security bollards are ideal for sensitive locations such as building entrances, pedestrian areas, exposed utilities and equipment—where safety and security are especially important. 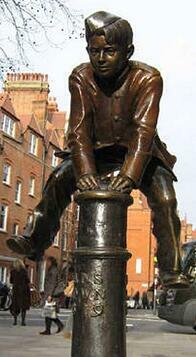 Decorative bollards are visible and/or provide decorative appeal. Decorative bollards and covers contribute to the visual quality of a building or landscape. They feature stylish designs to complement the shape, texture, color and weight of a building in its surrounding landscape or community neighborhood. Decorative bollards can reinforce planning and design—and can also help increase cohesion with nearby buildings and the surrounding neighborhood. Removable, flexible, retractable and collapsible bollards: Bollards can be installed with versatile mounting systems that allow them to be removed, retracted, flex on impact or to be collapsed. 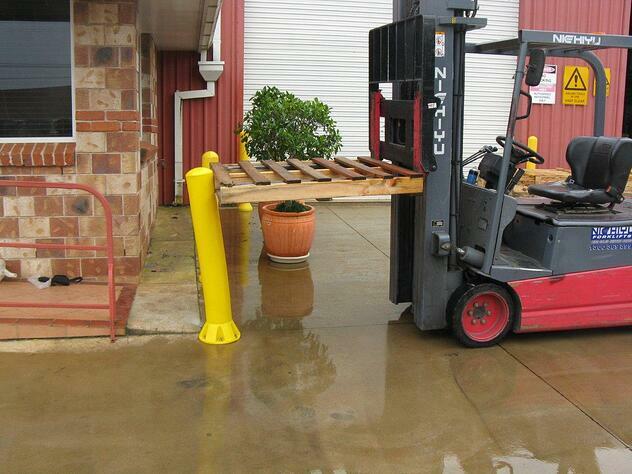 Flexible poly bollards work particularly well in wet environments or where forklifts and pallet trolleys are in full force as the bollards will flex on impact - preventing damage to both the site as well as the forklift equipment. Bicycle parking bollards: Bicycle parking bollards are designed to accommodate bicycle storage and segment vehicle and pedestrian traffic. 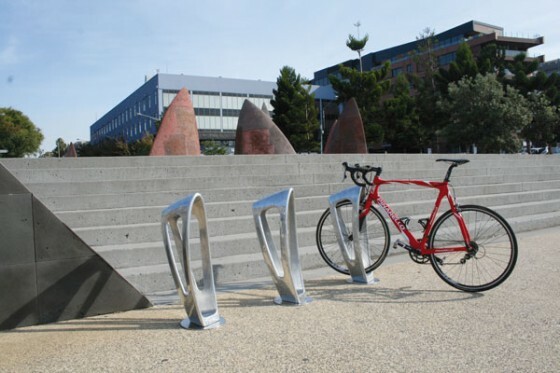 Standard bicycle bollards can be modified to accommodate bike parking by equipping them with bicycle-locking functionality. Light bollards: Lighting fixtures can be installed within bollards to increase visibility in pedestrian areas for dark or low-light conditions. 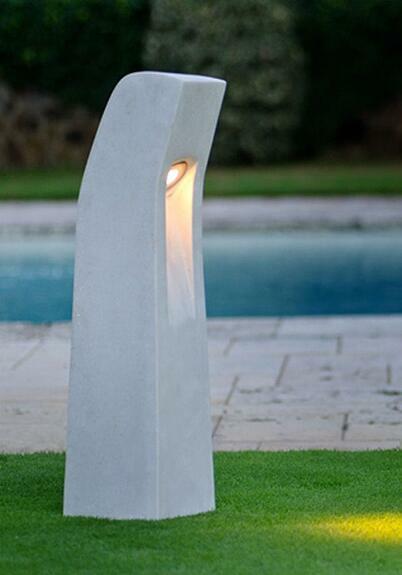 They could function in two ways with both illuminating a pathway as well as providing a barrier. Solar energy panels work well in this regard where lights are automated to maximize energy efficiency and require no additional wiring or conduits. Bollards ultimately have a higher purpose generally, which is not just for decoration and functionality, but also for long-term use with minimal maintenance. Bollards should be made from top-quality materials to ensure minimal wear and corrosion—to keep them looking their best for years to come. 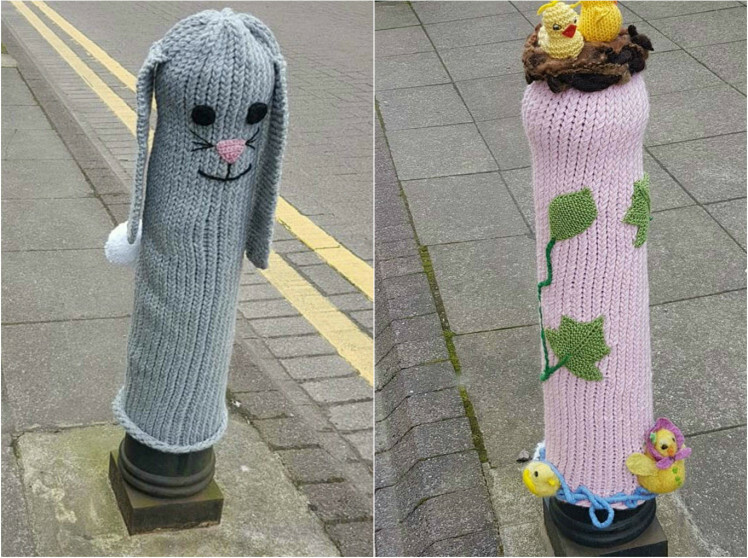 Check out these bollards in London which had knitted covers made to celebrate Easter! Just because they can.